HWI has developed in-house a heli-under-slung system to layout wire, cable, draw-lines, telecommunication cable and rope over towers in a controlled and precise manner. 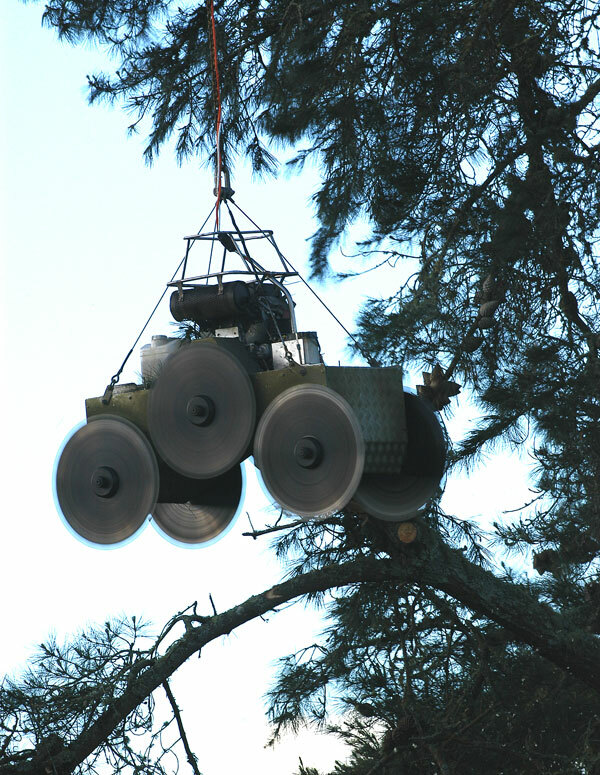 Our long-line lifting allows lift and location of loads into inaccessible areas, through tree canopy or between structures >70 metres. Completed sections of towers or tower parts are located on site or assembled using the helicopter in precision-hover. Any hardware or components can be interchanged on towers or insulators using our human-under-slung system. Packages of material are delivered on-site to specific altitudes. HWI have developed an under-slung skip system for ready-mix concrete aerial delivery and precision release into constructed shuttered boxing. Insulator removal and replacement is achieved using HWI special under-slung equipment. To prepare sites for new tower development, earthmoving and digger equipment is lifted and located. Two or three units can be utilised simultaneously at each site, then relocated to next site by air. To perform bare hand hot stick live-line joint testing, the linesman is seated on the skid mounted heli-platform. Joint testing can also be accomplished by human-under-slung method. 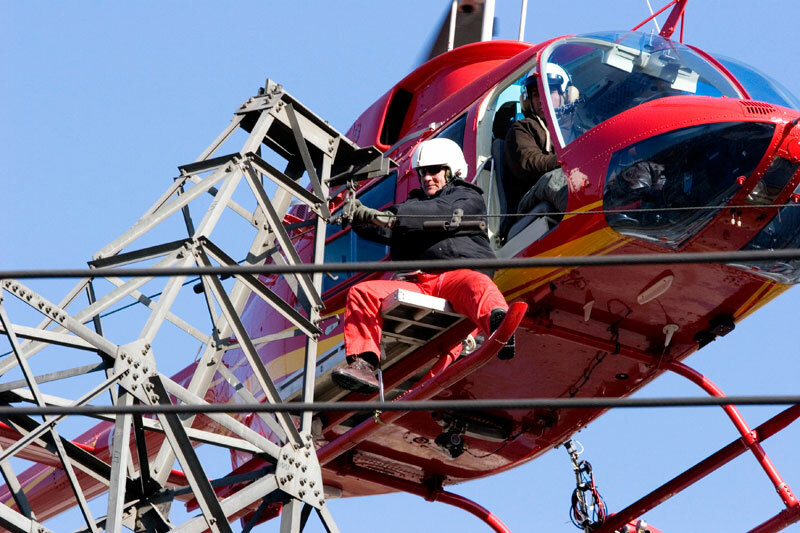 The linesman is seated on the HWI heli-platform to inspect earth-wire/ optical ground wire cable (OPGW). HWI human-under-slung insulator testing provides quick access to insulators. 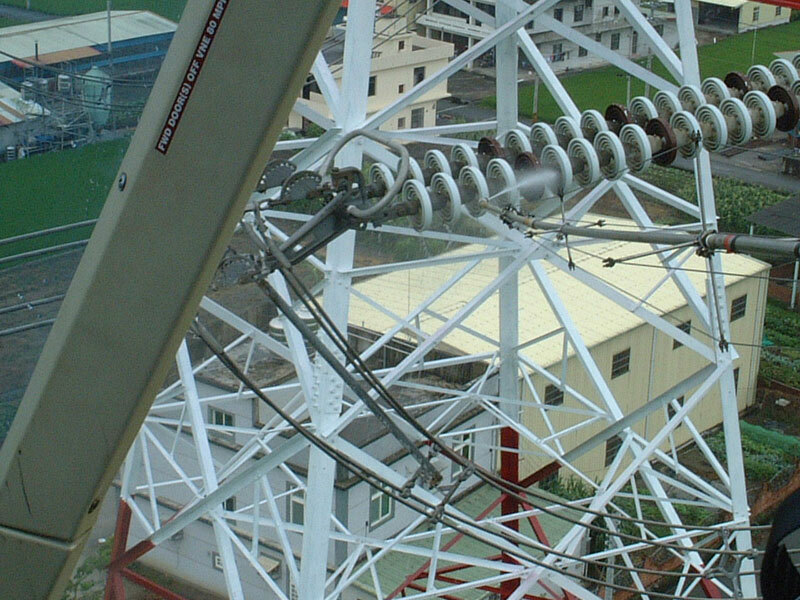 Hardware or component inspection on towers, conductors or OPGW is easily accomplished by our human-under-slung method. Live-line joint testing by human-under-slung is an expeditious method to accomplish the task. Joint testing can also be accomplished from the heli-platform. 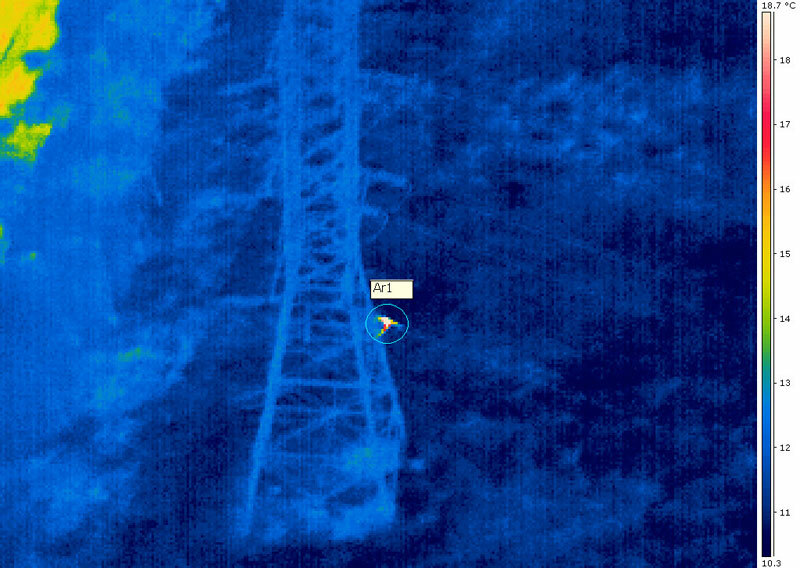 FLIR thermography infrared is an effective tool for hot-spot inspection. 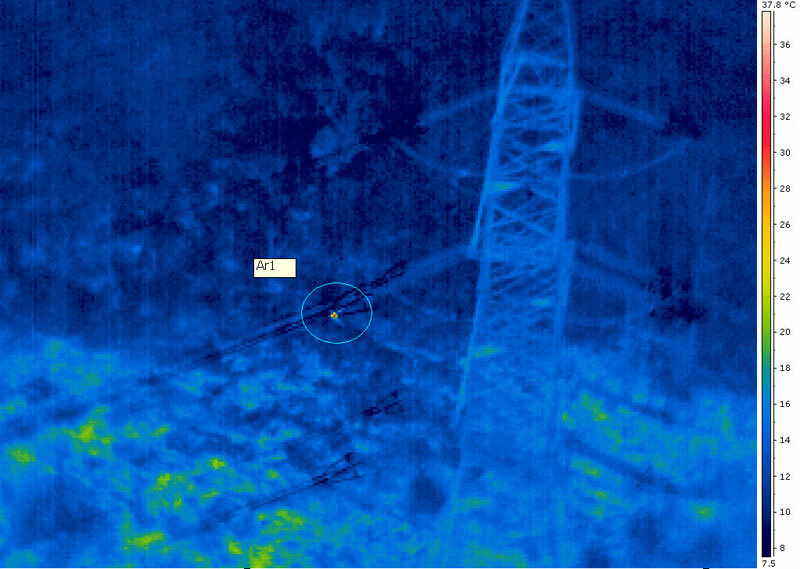 FLIR fault inspection is an important tool to prevent inadvertent electrical shutdowns on the network. The inspection can be done at < 100 km/ hour which saves time and creates more efficiency in the prevention of faults. Global positioning data and information capture is down-loaded for assessment. Corona bi-spectral UV photography inspection is an effective fault preventative tool. Corona discharge is captured around the fault area and is a useful method when air-temperatures are high. Global positioning data and capture is downloaded for assessment. 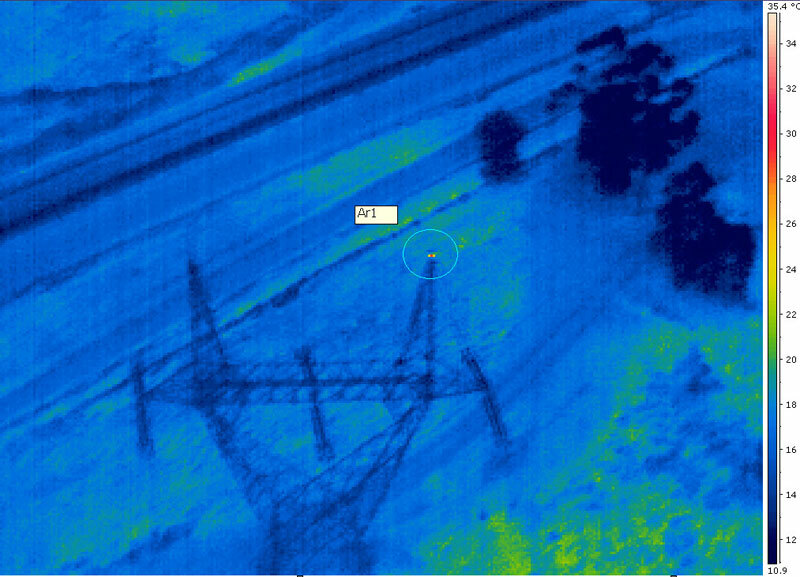 The 3D light detection and ranging system allows the measurement from the air of vertical laser beams to give data of existing or potential problems relating to conductors, clearances and vegetation. Our human-under-slung system is an excellent and quick method to inspect and replace spacers and dampers or install marker-balls. 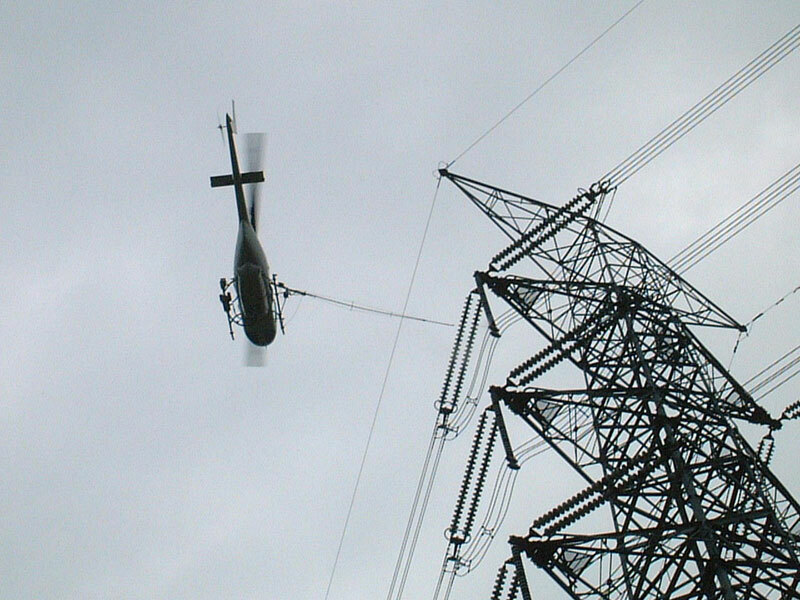 This system is preferable to using the heli-platform if work is required on centre conductors. Repairs are undertaken by human-under-slung system. Linesmen are located on the outside and centre conductors to carryout work while other linesmen are transported by human-sling and located to other parts of the line. 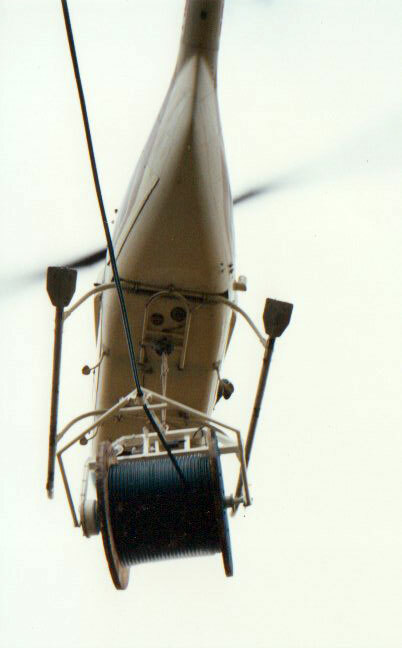 To perform live-line spacer replacement and marker-ball installation, the linesman and equipment are positioned on the skid-mounted heli-platform while the helicopter is bonded to the conductor. The heli-platform equipment incorporates a self-powered air-compressor to drive air-tools, allowing ease of dismantling and assembly of components. 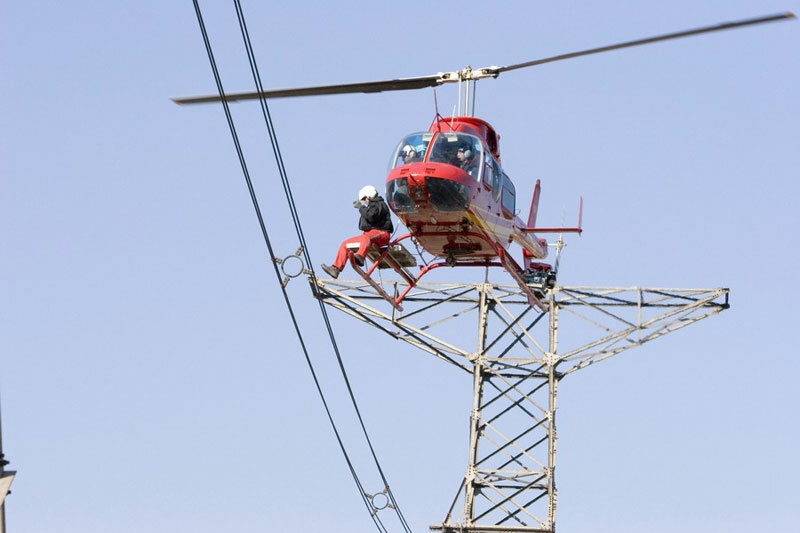 To perform bare hand hot stick live-line outside conductor and OPGW earth-wire repairs, the linesman and equipment are positioned on the heli-platform while the helicopter is bonded to the conductor. For repairs also involving middle conductors, our human under-slung system is preferable. HWI has developed a tree-trimmer capable of trimming both vertically and horizontally adjacent to conductors. The equipment can be lowered from a 70 metre line while the helicopter hovers above the upper wires or cables. This method is particularly useful when ground access is difficult or denied. The washing system has proven excellent results washing both horizontal and vertical insulators and centre-line insulators. 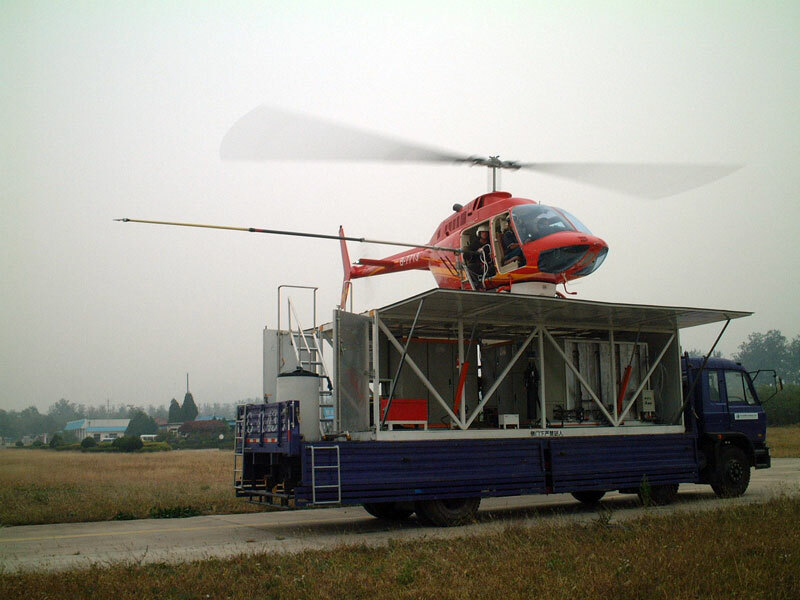 Heli-transport to remote worksites for personnel to undertake construction and repairs efficiently reduces access time and has the advantage of personnel, tools and equipment being transported simultaneously. Human under-slung linesmen placement is effective and cost-saving. 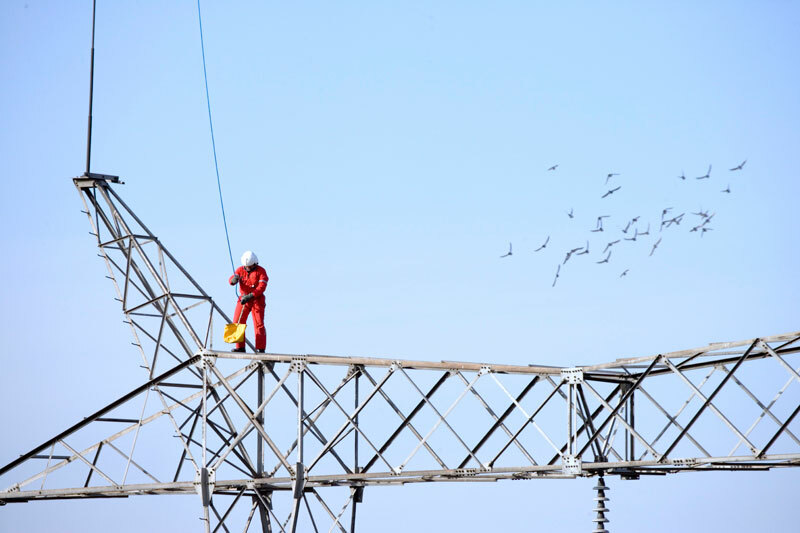 The time saved by positioning linesmen onto towers or live conductors compared to the considerable time it takes linesmen to climb towers or access the energised/ de-energised conductors is an important consideration. 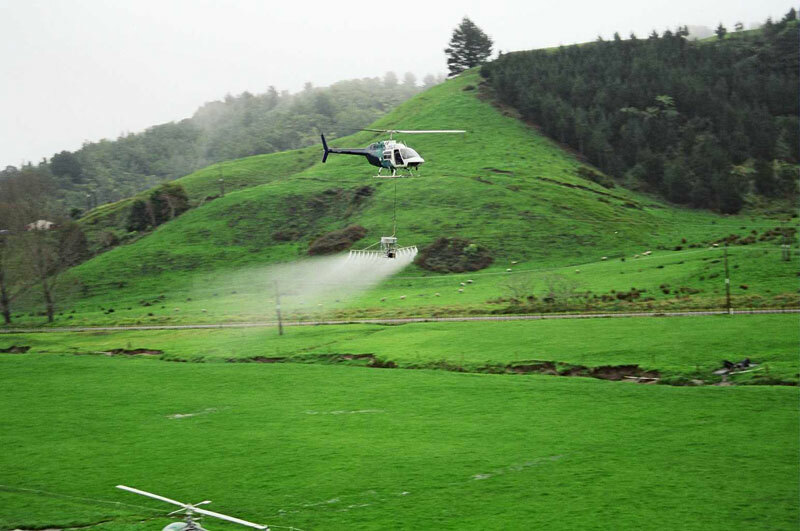 During repair work or tower construction in inaccessible or remote areas, the use of human-under-slung is an advantage if the helicopter cannot land due to high vegetation, topography or tower proximity. Line patrols are undertaken with the observer sitting inside the helicopter, or sitting on the HWI heli-platform or attached to our human-under-slung system. 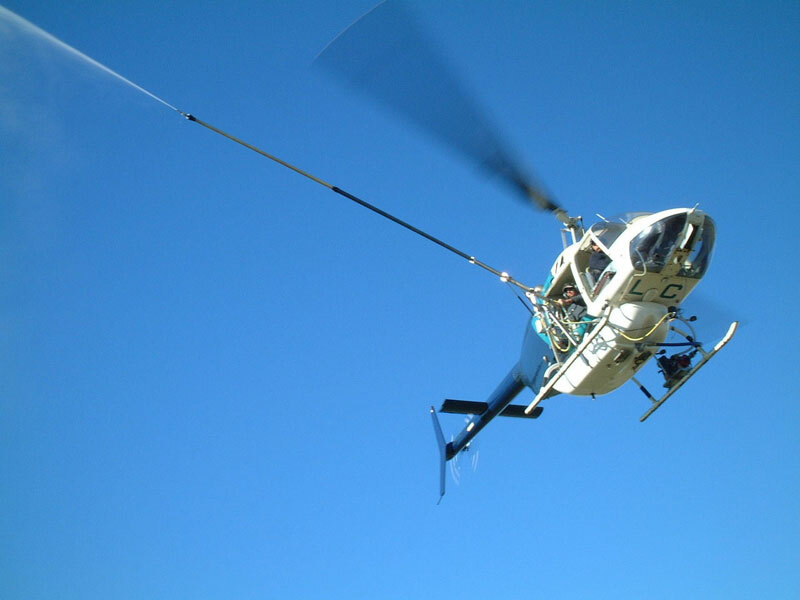 When a patrol using high-powered zoom or binoculars is ineffective, the observer is flown using our human-under-slung system to allow the observer to be positioned close to conductors, insulators and towers while the helicopter is maintaining safe distance from obstructions. Global Positioning capture and data information is downloaded for future assessment. 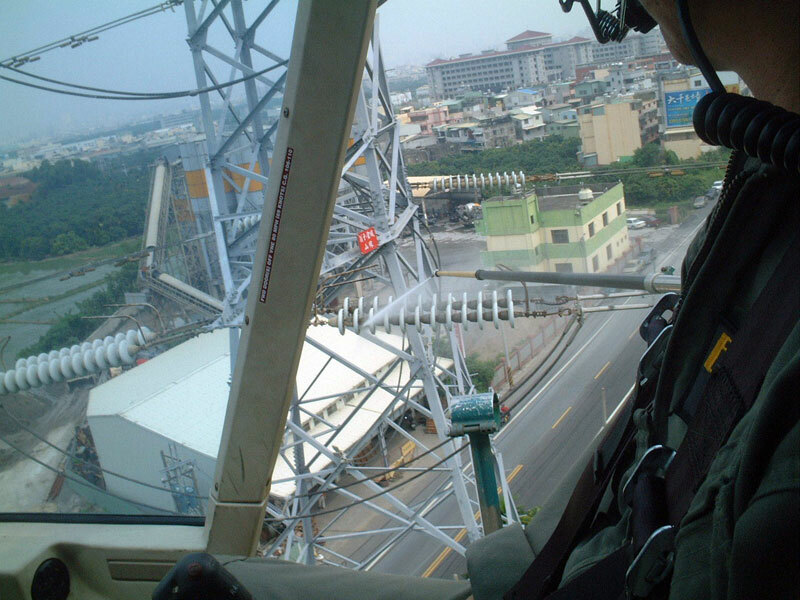 Helicopter response to a catastrophic event, when ice-storms or other conditions damage or collapse towers or conductors, is an effective means to urgently locate to site personnel, materials and components; followed by network repair. 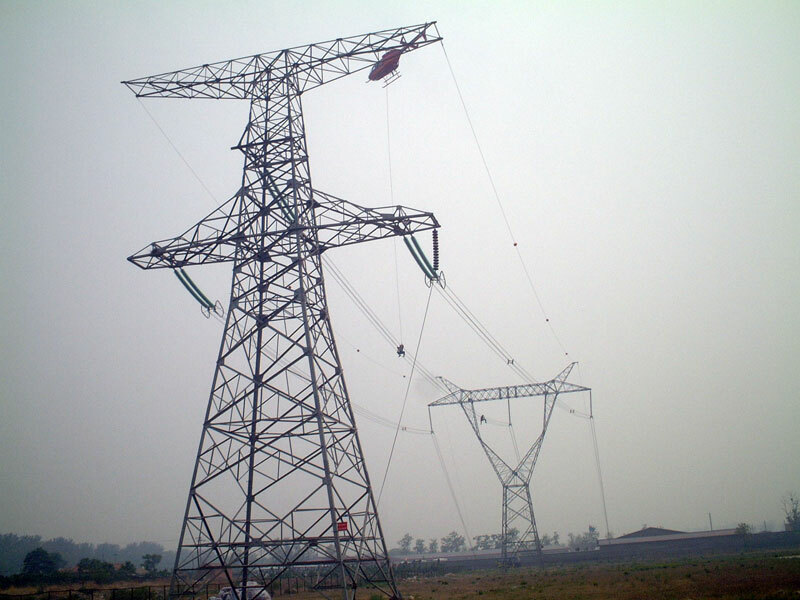 When towers cross high-altitude topography, insulator-washing can be achieved in a limited performance operation, dependant on helicopter type being used. 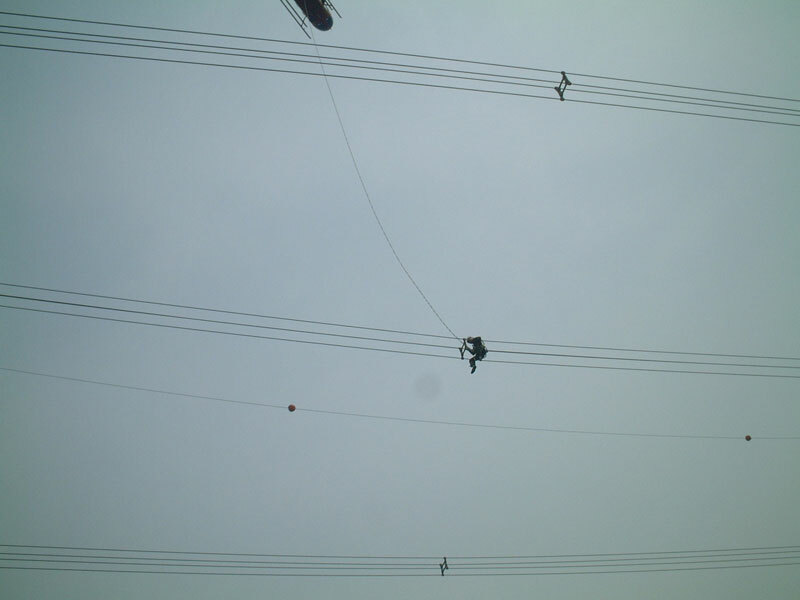 Cable stringing is achieved at high altitudes when repair work is necessary or high-altitude construction is required. With strict guidelines and our Approved procedures, HWI’s special under-slung cable-stringing equipment is utilised to replace earth-wire OPGW. Tower and conductor materials of < 5 ton can be lifted to high altitudes, dependant on helicopter type being used. The accuracy of Differential Global Positioning within sub-metre allows precise mapping of boundaries, controlled areas, treated areas, treated areas and milling or planting information. With the precision of laser mapping, tree growth can be assessed for lumbering or treatment. HWI has special under-slung equipment to spread high or low rates of solid, pelletised fertiliser or growth stimulant and application of specialised liquid sprays. When land conservation is the issue or when flood or earthquake damage occurs HWI has specialised equipment to apply colloidal mix with seed added to allow rapid regrowth to occur. In the event of fire in forests, conservation-reserve areas or in industrial factories, HWI has under-slung equipment with special water additives to douse the flames. The HWI flight crew have considerable experience in fire-fighting work and have been involved with fighting major fire outbreaks in Australia and New Zealand. Prior to a fire season and during a fire, HWI has specialised equipment to light and burn excess foliage to create a fire-break. The HWI flight crew have considerable experience in fire-fighting work and have been involved with fighting major fire outbreaks in Australia and New Zealand. Since inception in the 1980s, HWI has experience in EMS air-ambulance work and search and rescue. With the aid of qualified paramedics, emergency extraction and air-transportation of injured or sick is a proven aid to recovery. 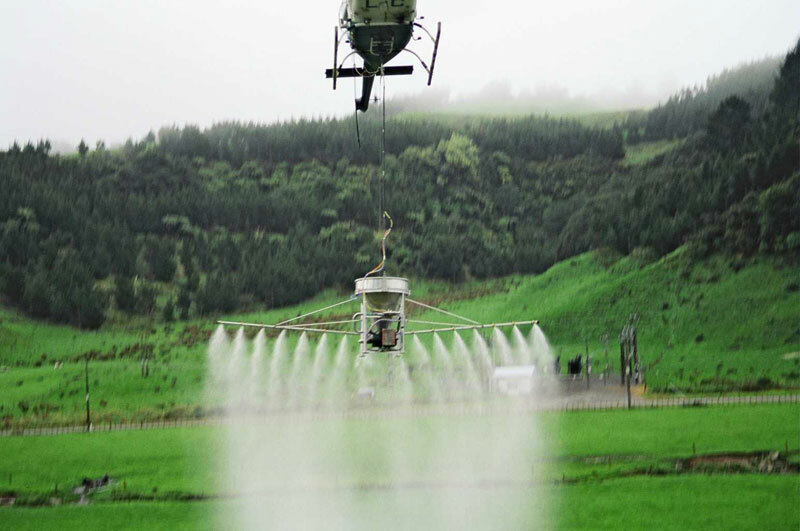 HWI has developed in-house under-slung aerial equipment to spread fertiliser > a 60 metre swath at high or low application rates using GPS for even results. HWI has developed in-house an under-slung hopper for low-application aerial seeding for pasture, erosion control and forestry. The GPS ensures even application. 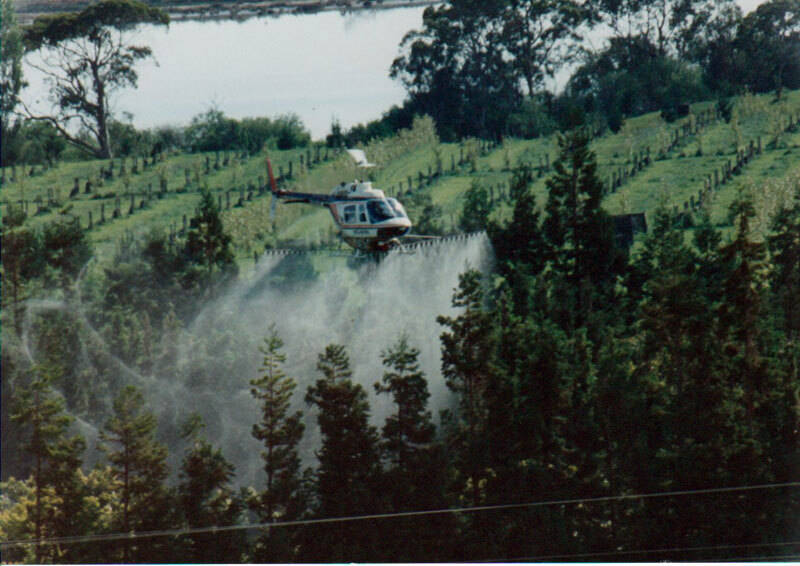 The HWI pilots have vast experience in all forms of aerial spraying using under-belly water-tank with spray-booms or our in-house developed under-slung bucket with spray-booms which can be used by all helicopter types. The under-slung bucket applies high water rate or ultra-fine droplet with extremely good results. The GPS ensures even application. HWI has experienced flight and ground-crew instructors. Extensive ground training courses are undertaken for flight and ground crew and management personnel prior to all operations. Approved training documents and manuals for Operational Standards and Procedures, Health and Safety Standards and Safety-Around-Helicopters Training are provided to all personnel as applicable. Flight role-training can be provided, incorporating the specific tasks, emergencies and procedural requirements.